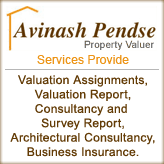 Established in the year 1982, we, “Avinash Pendse, Nagpur & Mumbai”, are involved in rendering Architectural Drawing, Valuation Report, Consultancy and Survey Report Services. The services that we render are widely acknowledged for their timely execution and affordable prices. We are a Sole Proprietorship (Individual) organization that is considered to be one of the professional consulting companies in India, practicing in the fields of architecture and designing. All our services are executed under the supervision of our expert professionals. Clients can avail these services at industry leading prices. Our enterprise makes us aware of the clients' requirements by anticipating their future requirements. This allows us to provide bewitching solutions to our customers and make a distinct place in the industry. The perfect accomplishment of projects has helped us to etch our name in this domain. Our detailed knowledge and extensive experience help us in rendering reliable solutions in accordance with the specific demands of our patron. We provide services beyond the expectations of the patrons by putting their thoughts into reality with the assistance of the artistic vision of our workforce. Mr. Avinash Pendse, plays the role of our mentor. He has enabled us to scale newer heights of growth and makes sure that we never give up. Under his guidance, we have garnered a huge clientele that includes reputed names such as High Court Mumbai, DRT, MSFC, Indian Oil Corporation, SBI and Federal Bank.